Graviola, also known as soursop, guanabana, Brazilian pow pow, is a fruit that is produced from the Graviola tree or also known as the Annona muricata tree, commonly found in the Amazonian forest. The fruit and its leaves for a while were used in traditional medicine by these indigenous people for their tranquilizing and also sedative effects and properties. 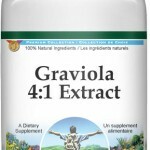 As of 2012, unfortunately there hasn’t been any research on the benefits graviola supplements with humans. Many companies after the research was done about the graviola fruit and it’s medicinal benefits decided that having a graviola supplement would be beneficial to have in order to show its anti viral, anti parasitic and its anti cancer properties. Unfortunately because of it being a supplement and researchers cannot have a human based clinical trial they are unable to prove that it does in fact have these medicinal benefits side effects with human clinical trial research based reports. Due to this fact, it would be very difficult to make any recommendations for the graviola supplement with certainty. There are many questions that many people have that remain to be unanswered. However some of the studies being done on this are intriguing and should not be ignored but rather looked further into. Graviola supplement, what are the benefits & side effects and how does it prevent or treat cancer? The graviola supplement, although like previously stated we aren’t sure what role it would play in the human cancer prevention or treatment. There are various companies that do see the 100% pure ground natural plant material, usually you can find it in 500 mg, and it’s called Annona muricata leaf and stem. In addition to that there are certain people that find the leaf and make teas with it as well. Again no valued research has been done as far as this being able to prevent cancer or treat it. So we always make sure to let patients know the importance of talking this over with your health care provider, prior to starting or taking any supplements. Again due to the lack of human based clinical trials there isn’t a list of the benefits of the graviola supplement that you will find as far as FDA approval is concerned. But like previously mentioned some use it for its sedative effects, anti-emetic effective and it’s potential anti cancer effects which has not yet been proven with the supplement. As far as dosage is concerned it has gone with what other people have taken and have not experienced any poor side effects as far as feeling too sedated. 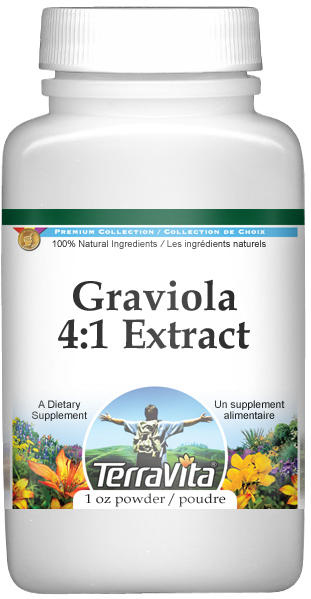 Some people take between 500-600 mg of the graviola supplement. There are actually quite a few. Ginkgo Biloba is one of the most poaulpr and effective supplements that help to boost memory because it helps to increase circulation to the brain I’ve noticed huge benefits as I’ve been taking it for a few years.Aside from Ginkgo, some of the most poaulpr ones are Acetyl L-Carnitine, Fish Oil (Omega 3), Phosphatidylserine (abbreviated PS), DMAE, Huperzine A, Bacopa Monnieri (or Monniera), and Vinpocetine.There are a LOT of people that get a lot of benefit from any combination of those. I would suggest adding one at a time to your daily regiment as too much too fast can be tough. I would recommend starting pretty much in order of how I listed them that’s a pretty good listing in order of poaulprity and effect for the general population. Good luck and I hope I helped!